Patent reform in the USA is tricky business – usually slow and well lobbied with only minimal effects. However, Wired has an article dubbing US President Obama as one of the American presidents that leave a significant mark on patents. President Obama has issued a number of presidential orders that will change patents in the US forever…hopefully. · Require patentees and applicants to disclose the “Real Party-in-Interest,” by requiring that any party sending demand letters, filing an infringement suit or seeking PTO review of a patent to file updated ownership information, and enabling the PTO or district courts to impose sanctions for non-compliance. · Permit more discretion in awarding fees to prevailing parties in patent cases, providing district courts with more discretion to award attorney’s fees under 35 USC 285 as a sanction for abusive court filings (similar to the legal standard that applies in copyright infringement cases). · Expand the PTO’s transitional program for covered business method patents to include a broader category of computer-enabled patents and permit a wider range of challengers to petition for review of issued patents before the Patent Trial and Appeals Board (PTAB). · Protect off-the-shelf use by consumers and businesses by providing them with better legal protection against liability for a product being used off-the-shelf and solely for its intended use. Also, stay judicial proceedings against such consumers when an infringement suit has also been brought against a vendor, retailer, or manufacturer. · Change the ITC standard for obtaining an injunction to better align it with the traditional four-factor test in eBay Inc. v. MercExchange, to enhance consistency in the standards applied at the ITC and district courts. · Use demand letter transparency to help curb abusive suits, incentivizing public filing of demand letters in a way that makes them accessible and searchable to the public. · Ensure the ITC has adequate flexibility in hiring qualified Administrative Law Judges. In the state of union early 2014 President Obama said “Let’s pass a patent reform bill that allows our businesses to stay focused on innovation, not costly, needless litigation”. This shows that the President is bent on making real change to the US patent system. Wired bestows the title patent trollslayer to the president. One of the more unlikely titles the president has recived. 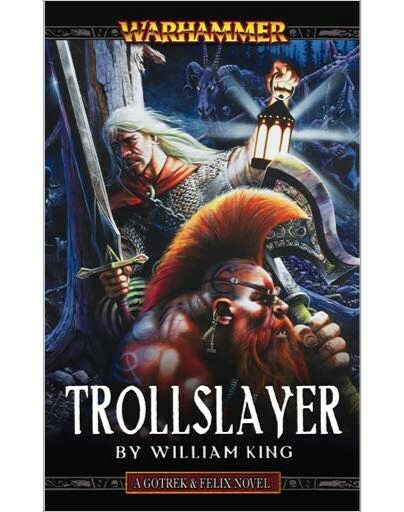 Furthermore “Trollslayer” is one of my favorite Warhammer books although the character looks nowhere like the American President.